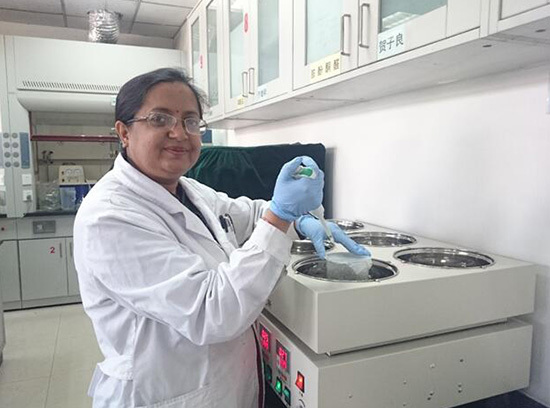 My journey into research began with the completion of my Master’s degree in Environmental Microbiology from Tribhuvan University where my thesis study examined water borne bacterial pathogens and their susceptibility towards indigenous herbal extracts. Some experiments were conducted at laboratories of the Nepal Academy of Science and Technology (NAST), where I was eventually offered an appointed position as scientific officer at NAST in 2005 and instructed to continue my research in various capacities. In addition to taking part in water quality testing services and research, I started environmental campaigns to increase public awareness primarily about water safety and other various environmental issues. 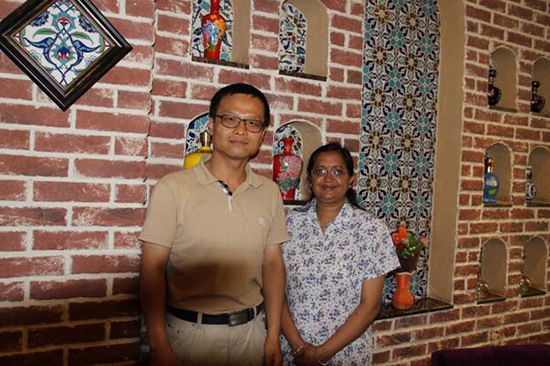 In 2010, I got an opportunity to attend Water and Sanitation Workshop for Developing Countries held by Research Center for Eco-Environmental Sciences (RCEES), Chinese Academy of Sciences (CAS),Beijing, China.This workshop was an opening door to my dreams of pursuing further academic study on water quality and treatment technology andI had a chance to meet Professor Jiuhui Qu, Academician of Chinese Academy of Engineering, and Professor Ruiping Liu, who eventually became my PhD. 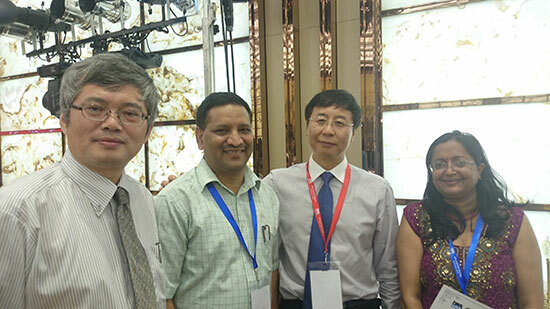 supervisors at RCEES when I enrolled at University of Chinese Academy of Sciences (UCAS) in March 2013. 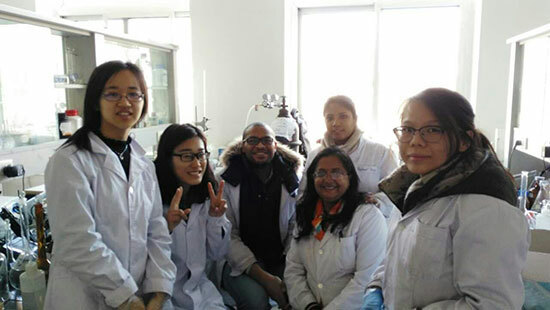 To be a part of and to help contribute to research projects in the water purification group at RCEES, CAS, led by Academician Professor Jiuhui Qu was a high honor and the professors and students I shared time with influenced me in many good ways and helped me grow as a researcher and scientist. I still look back fondly on many in-depth discussions about the research, cultural exchanges and practical learning experience through trips to aground water treatment plant in Tongliao City of Inner Mongolia and a tour of arsenic removal technology demonstration sites in Beijing. The overall research environment, experiment lab quality and innovative environmental research at the forefront of water purification were very impressive. As a doctoral student, I also got the opportunity to hear from, meet and share my experience with many international famous water scientists and young researchers at the International Water Association, IWA-Aspire conference in Beijing which was hosted by RCEES, CAS in 2015. The work conducted during my PhD. studies at RCEES has potential engineering treatment application as highly-efficient and cost-effective technology in small communities to even large-scale purification of arsenic from water. Novel metal oxide adsorbents were prepared to remove aromatic organoarsenic and inorganic arsenic compounds efficiently from water.The results of this work have appeared in many leading journals including Water Research and Chemical Engineering Journal. Based on my performance and publications, I was awarded the Excellent International Student Award from UCAS in the year of 2017. 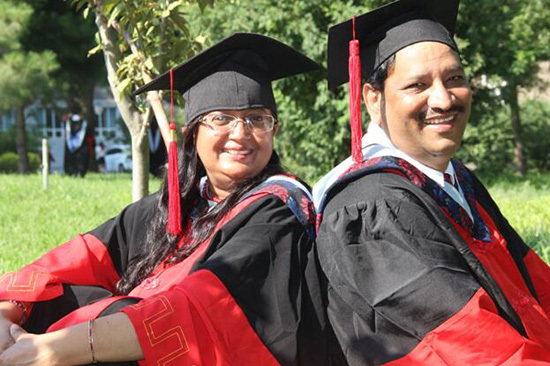 After returning to Nepal following my graduation, my husband Dr. Dev Raj Joshi (his PhD. 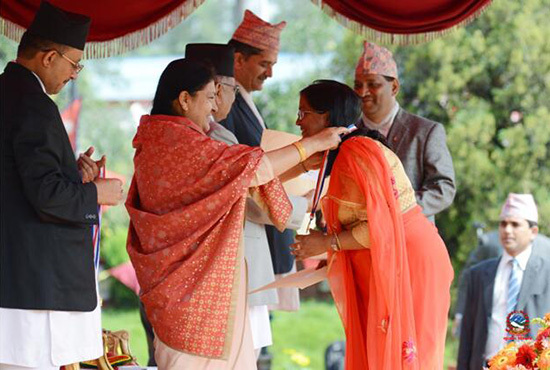 study was supervised by Professor MinYang at RCEES) and I were both awarded the Class-I Educational Medal from the President of Nepal. Being fascinated by scientific research and the social aspects associated with scientific communication, I continued my research and other activities in NAST. 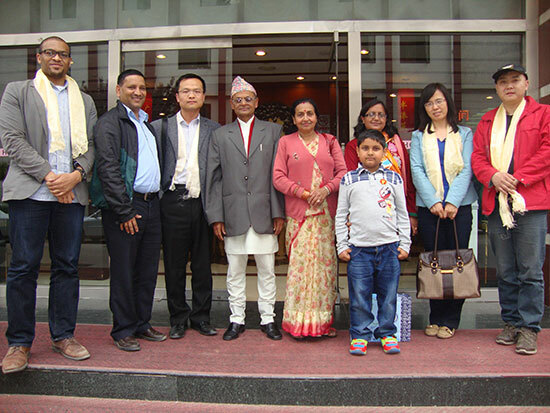 I am also mentoring postgraduate students of universities in Nepal. In 2018, two drinking water purification systems donated by RCEES were installed at Tribhuvan University to provide high quality drinking water in Nepal. 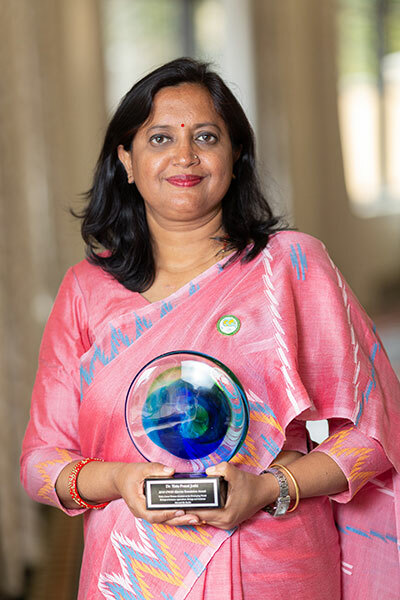 Recently, on February 16th, 2019, I was honored with the prestigious OWSD–Elsevier Foundation Award from Asia and Pacific region in the field of Biological Sciences. 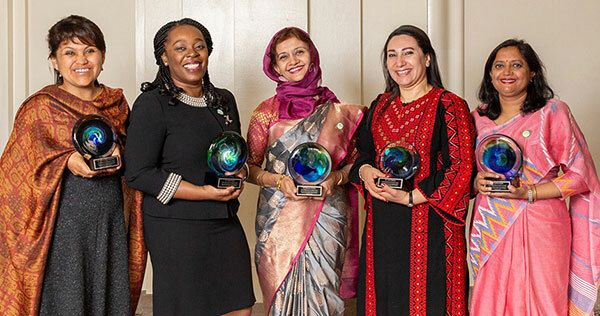 I believe I was awarded as an early career woman research scientist from developing countries due to maintaining a good research track with demonstrable impact on the research environment both at aregional and international level. Additionally, service to society, advocacy for environment and significant contribution to academia were alsostrongly correlated with this award. Recognition of my work, environmental outreach efforts and continued mentoring of future scientists by the OWSD Elsevier Foundation Award is very nice, but more importantly is that it recharges my passion to continue doing what I am doingand still strive to be better. I would like to acknowledge my wonderful advisors, Academician Professor Jiuhui Qu and Professor Ruiping Liu who identified my research potential and helped guide me to become an even better researcher. Secondly, I would like to thank Research Centre for Eco-Environmental Sciences (RCEES) of Chinese Academy of Sciences (CAS) for the great impact they have had on mycurrent achievements and international recognition. I have grown more confident, accountable, and motivated to continue my research activities to achieve my goals now and into the future. I hope my story will inspire many younger ladies in this region to work hard to achieve success in their scientific career. To extend my gratitude, I look forward to the successful development of impactful water research facilities in Nepal, especially at the Nepal Academy of Science andTechnology with establishing research collaborations with RCEES and CAS at various levels.